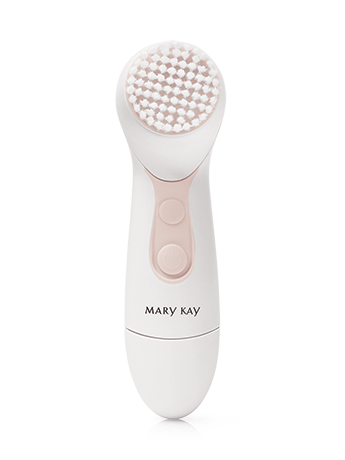 This lightweight, two-speed power brush gently massages as it thoroughly cleans skin, removing residue, dirt and makeup in seconds. Boosts the absorption of your next skin care step. Starts improving skin’s appearance immediately. Helps polish away the look of past skin damage for a more even-looking complexion. Softens the appearance of lines and wrinkles. Boxed set includes two brush heads and batteries. *Results based on a one-day controlled clinical study. Still cleansing by hand? There’s a lot you’re missing. Things you can’t see like makeup, dirt and impurities. So you think your skin is clean, but is it? The Skinvigorate™ Cleansing Brush will make you think differently. 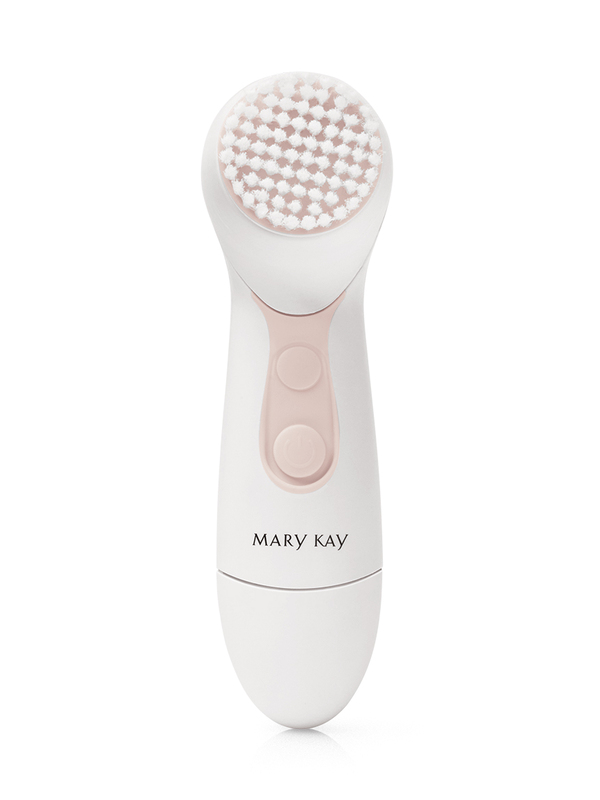 This brush not only gently massages the skin as it thoroughly cleans it, but it also allows your skin care products to absorb better and more quickly, and helps maximize the instant hydration benefits of your moisturizer. Even makeup applies more easily and evenly. With consistent use, skin’s overall appearance is dramatically enhanced. Remove eye makeup. 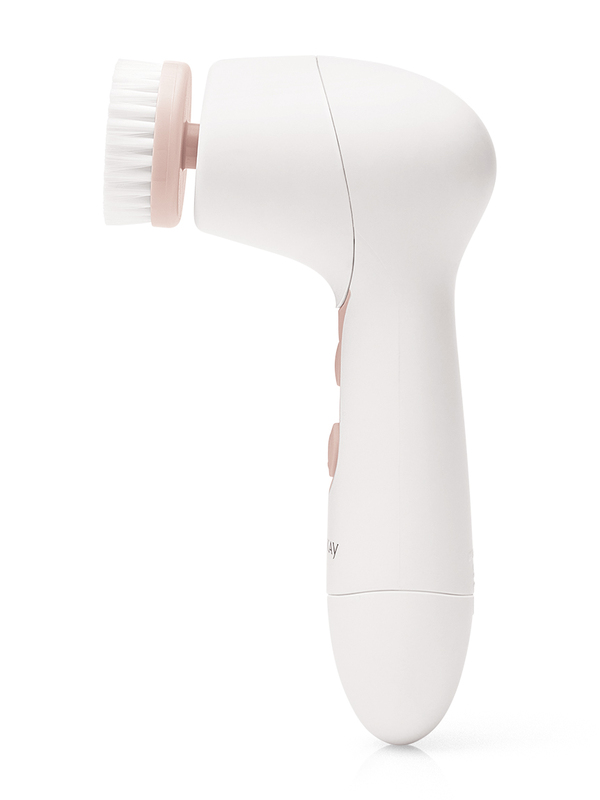 Wet face and Skinvigorate™ Cleansing Brush. Apply your favorite Mary Kay® cleanser to your face. Cleanse and massage skin up to twice daily. Spend 15 seconds on each cheek, 15 seconds on the nose and chin combined, and 15 seconds on the forehead. Rinse your face and brush head with warm, soapy water. Apply your next skin care step. Two spin speeds allow you to customize your experience. Just a push of a button switches from a lower speed to a higher one, reaching over 400 rotations per minute. Both speeds provide gentle massaging yet deep cleansing that’s suitable for daily use on all skin types, even sensitive skin and acne-prone skin. The nylon bristles of the brush head feature polished tips with rounded ends so they feel supersoft against your skin. Gently exfoliates and helps improve skin texture without being abrasive to skin. Unique angled design hugs the contours of your face to help thoroughly clean. Take it wherever you go. Waterproof: Use at the sink, in the shower or in the bath. The two brush heads included provide six months of skin pampering when used every day. 97% Maximizes my skin care benefits. 94% Transforms dull skin into a radiant complexion. 96% Provides a more even-looking skin tone. 95% Skin feels softer, smoother and healthier. **Results reflect the percentage of women who agreed with the statements in a three-week independent consumer study.